If you are an Android App Development Company, you must have noticed that almost all game app clients demand Augmented Reality/Virtual Reality in their apps. AR & VR Gaming Market is worth around $215 Billion at present and we will have approximately 216 Million AR/VR games by 2025. We all know that this trend in the mobile gaming sector is not new, and is about to break all records, but why? What Makes VR (Virtual Reality) an Interesting Mobile Game Development Technology? Why is AR (Augmented Reality) Exciting the Gaming Industry? Aren’t these questions buzzing you too? Well, we have tried validating the trend of AR/VR in Mobile Game Development industry. Read to know more. The gaming interface of AR/VR mobile games obviously looks more appealing than the conventional gaming dashboards. Seeing the digital objects in the real world or real objects in the virtual world is as interesting as it seems. It makes the gamers feel connected to the mobile app, exciting them to use the product. Mobile devices can be carried to anywhere. You can go online using these, in order to build or use networks. It simply means that mobile devices are ideal for single and multi-user games. But what about user experience, the most important element of gaming? Virtual Reality or Augmented Reality doubles up the convenience and feel of mobile gaming. By making the objects look lively or using the real-world objects, it gives an authentic feel of gaming to the end-users. Engaging more and more users is the biggest challenge you might face after launching your Android game app, but that's not the case with AR/VR mobile game applications. These technologies are known to help the developers come up with client-orientated engaging apps. It is surely due to the well-built user interface of such apps. Real-world like gaming experience of AR/VR apps ensure that your app users stay engaged in your game. It results in loyal and returning players, using your gaming app forever (well, almost!). The secret of success of a product lies in its complexity. The easier it is to understand your game; the faster people will start enjoying it. VR/AR makes the mobile gaming simple and more interactive. The conditions are generally similar to real-life in these games. Businesses choose gaming technologies as per the features required in a game. To come up with a future-ready game and unique features, they integrate the VR/AR gaming features to their product. But there is a lot more to it. The foremost condition to gain attention in the gaming market is launching an innovative product which is unique and appealing for its users. Now, be it Virtual Reality or Augmented Reality, both technologies have an immense potential to contribute to the development of a unique and innovative app which is futuristic and real. That's what makes AR/VR the first choice in the gaming industry. AR/VR games separate you from the old-school game developers and reduce the competition too, increasing the chances of your success. People's inclination towards using these apps and investors' interest in these technologies are somewhat helpful in making AR/VR mobile games famous. The more traffic and users it drives the more are the chances of its high earning. How does a brand gain popularity? To increase your brand value and visibility, you need to launch unique games in this competition Android game industry. It ensures speedy success to you. For example, Nintendo was in the game development sector for a long time, but when they launched an interesting Augmented Reality game app, their brand value increased by a great extent in very less time. Why did it happen? Because the young gamers so want to try AR games. Same is true for the Virtual Reality games. The sales of VR devices show that users are very much keen to try new Virtual Reality games and application. In such a high time, if you develop a good VR/AR app, there is no denying to the fact that you will become a brand loved by gamers. Augmented Reality, Virtual Reality and even, Mixed Reality are in high demand in current times. Check the statistics and ask the game enthusiasts. The young generation is crazy for new technologies, especially augmented and virtual reality. It is hard for anyone to ignore the rise of AR/VR in mobile gaming. The whole market is interested in new AR/VR mobile games at present. Hence, it is the right time to launch an app which has the capability to take benefit of the interest users has in these technologies. AR and VR games are not developed by anyone and everyone these days; not yet, at least. So, if you succeeded at indulging your app users, they will stay engaged in it for long. You will have early mover's advantage. You know that already, isn't it? The potential of Augment and Virtual Reality is keeping the interest of gamers and app owners alive. These technologies have revolutionized the gaming industry by improving the gaming experience for the end-users. From satisfaction with gaming experience to engagement rate of users – everything is very high when it comes to AR/VR mobile games. So, if people around in your Mobile App Development Company or gaming industry are talking about Augmented or Virtual Reality all the time, they are actually doing it right. To succeed in mobile game development with your app, you should also give it the attention it deserves. 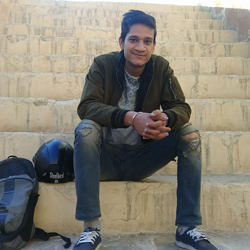 Ashish Goyal is an online marketer in Xtreem Solution who loves to help businesses in improving their online brand visibility and sales. Besides this, He is fond of reading books, writing short stories, EDM music and soccer lover.